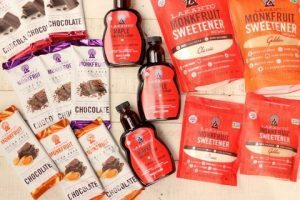 NuNaturals is a keto company that has some great low carb products including natural keto sweeteners, naturally sweetened sugar free cocoa syrups and much more. They recently added two great new products, unsweetened Cocoa powder and Gelatin. 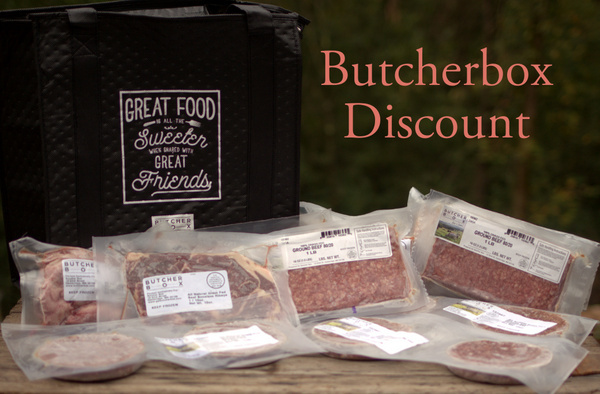 Both are sugar free and from great sources (pastured cows, etc). 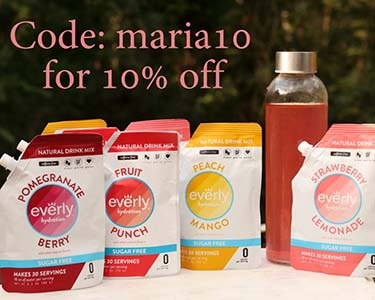 I love their lemon and vanilla stevia sweeteners and flavorings. I always use their unsweetened cocoa powder to make my boys my Amazing Chocolate Pudding recipe from my book The 30 Day Ketogenic Cleanse (all recipes are dairy and nut free!). 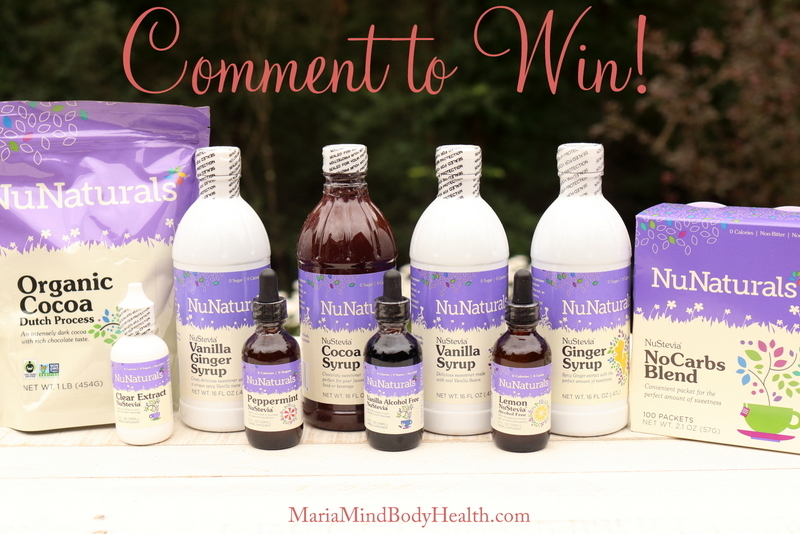 NuNaturals was generous enough to sponsor a giveaway of a sample pack of these products. 1. 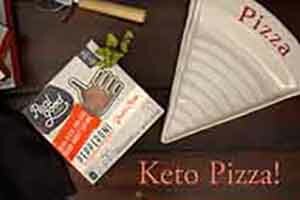 Like Keto Adapted on Facebook and share with your friends and family. 2. Like NuNaturals on Facebook! 3. Comment below on what recipe of mine you would make if you won! Winner will be chosen August 30th! AND THE WINNER IS… Laurie Paige Machtan!! Congrats!! 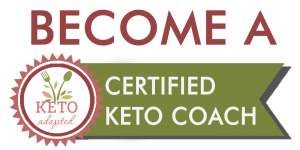 A great testimony about The 30 Day Ketogenic Cleanse book: “I’m just beside myself with joy this morning! 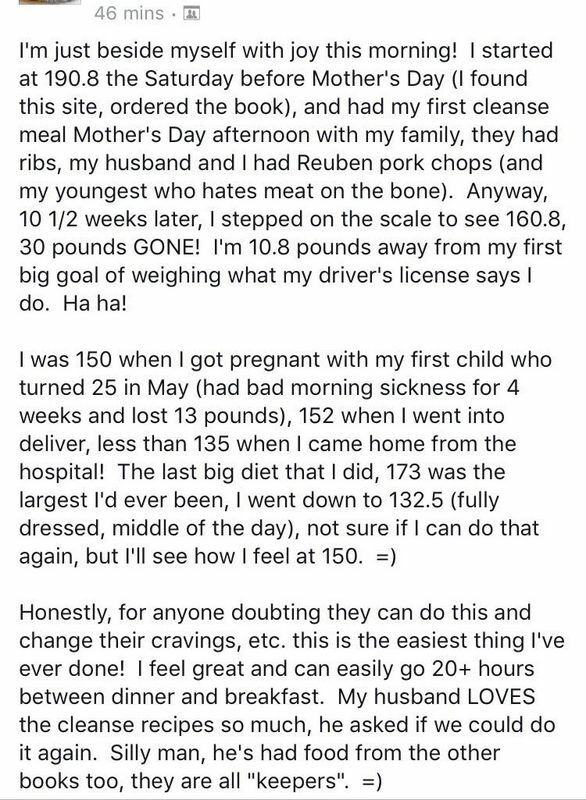 I started at 190.8 the Saturday before Mother’s Day (I found this site, ordered the book), and had my first cleanse meal Mother’s Day afternoon with my family, they had ribs, my husband and I had Reuben pork chops (and my youngest who hates meat on the bone). Anyway, 10 1/2 weeks later, I stepped on the scale to see 160.8, 30 pounds GONE! I’m 10.8 pounds away from my first big goal of weighing what my driver’s license says I do. Ha ha! 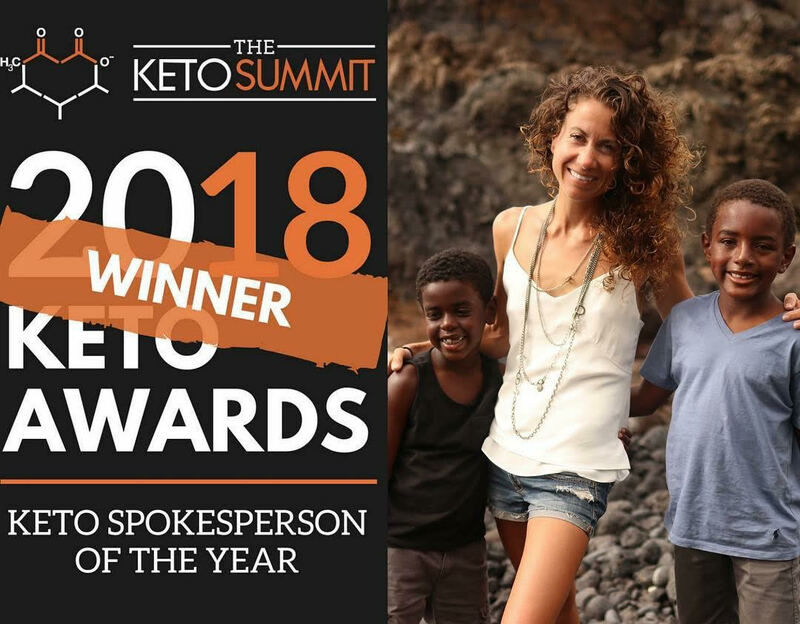 I would love to win anything keto! I would love to make the keto butterfinger bars!! That recipe turned my boyfriend into a keto believer and we haven’t looked back since! 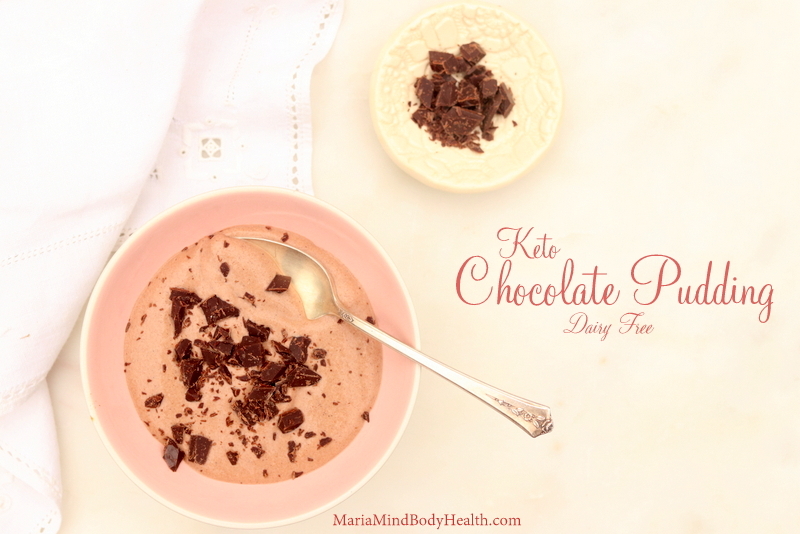 Dairy free Keto Chocolate pudding would be my first choice!! A lot of yummy treats could be made with all this goodness! I can’t wait to make the vanilla bean bread pudding with vanilla bean creme anglaise. More chocolate pudding then the Keto Butterfingers! If I won I’d make the keto Danish!! Mmm!!! Definitely pudding, and in my iced americano! I’d make the Keto Chocolate pudding. I’ve been meaning to try it as I love pudding. If I win I’m definitely making the creamy chocolate mint truffles from the comfort foods book. They sound so yummy! Keto cheesecake in a variety of flavors. I would make the keto danish! I would make keno chocolate pudding and take it with me to our annual family jget together. I’m excited to make the chocolate lava cake! I would make the malted milkball cheesecake! Or I love the coffee cake! Definitely the pudding It is one of my favorites!!! The pudding recipe looks good. Keto cheesecake or the coffee cake for sure!!! 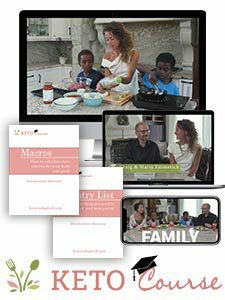 Me and my family LOVE all your bread recipes! I think I’d make the Keto cheescake! I would make your butterfingers, then the teddy grahams! Chocolate Lava Cake for sure!!! Keto cheesecake sounds amazing! I had no idea nu naturals had all of these items! I am so excited. Chocolate pudding and French silk ice cream! I would make the Starbucks lemon loaf cake! That thing looks amazing! I would also make the Snickerdoodle truffles my kids have been asking for! My kids love the teddy grahams!! So I’d make that first, then ‘granola’ for me! This is my first day of the cleanse BUT I would use the Chocolate Syrup to add to the Keto Chocolate Pudding! Done! And keto cheesecake and keto butterfingers, somehow mix the two!?! YUM! I would love to make the Keto Cheesecake or really any pastry or cake like dish! I would make your German chocolate cake! That chocolate pudding would be amazing! I’d make the cheesecake or German chocolate. The chocolate pudding, of course! Lava cake! The vanilla ginger could be a game changer though sounds delicious!! Either the Keto Danish or a cheesecake. The strawberry cream pops you just posted yesterday! I’d make your cheesecake for sure. Chocolate Lava Cake or the Keto Cheese danish would be mine. Love all your recipes. I will try Vanilla Bean Bread Pudding. Frozen Strawberry Fat Bomb is on my list! Oh man I would love the cocoa syrup to make iced mochas at home!!!!! 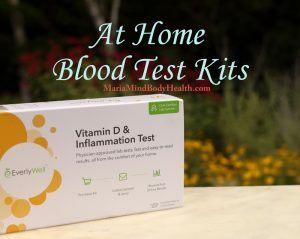 This entire package looks amazing and I am excited to check out this company!!!! I haven’t had Choc Pudding in years so I would start with that. So many great choices. I got some of the chocolate syrup in my last Keto Box and it was delicious. I would love to try to make the chocolate pudding with it or maybe put it over a cheesecake. I made the malt ball cheesecake, next is the death by chocolate cheesecake! But id really like to try their gelatin and chocolate syrup!!! I’m always up for chocolate pudding! In my Lucille Ball voice I would definitely make the chocolate pudding!!! yes! yes! Wow! 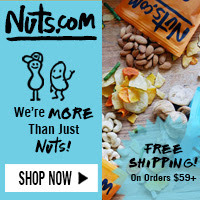 I hadn’t heard of this company yet! I’m gonna have to do some internet sleuthing and see what I can find! I LOVE finding new Keto friendly products! If I win this book, I can let my friend keep the book I lend her and keep this one or loan it out again! The keto pudding, malted cheesecake, can’t choose one when I can make all! So exciting. It’s gotta be the chocolate pudding! Chocolate pudding sounds fantastic. This entire package looks amazing! Yumm! I would make the Chocolate pudding recipe! My kids would love me forever. I would make homemade vanilla steamers for my kids! 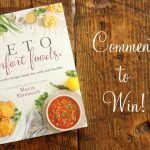 I would love to win this prize to revamp my pantry. I am looking forward to making the Chocolate Pudding. Most definitely the keto pudding! Yum! gelatin is so good for the gut too! 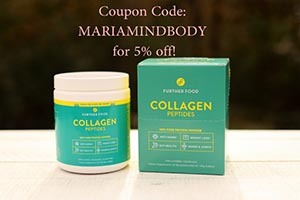 Would love to try their products! I’d make the chocolate pudding! These ingredients are so hard to come by in Norway! Alll the recipes!! !I can’t choose just one! I would make Keto ice cream of course! I wouldn’t even know where to start! I wanna make all the things! My favorite treat is cheesecake. Maybe that! For sure the Keto pudding!!!! I’m just started this journey a few weeks ago and i am really loving it. The first week was really hard but I stuck through it and now it’s becoming easier with everyday I push through. Thank you. Your ice cream, or cheesecake, or pudding, or cheese danish or…….. everything that’s better with chocolate…. Lava cakes, every flavor of cheese cake, and chocolate pudding. YUM!!! Keep sending us the awesome recipes. Thanks! I would make your amazing cinnamon rolls! I would love to try making the chocolate pudding. That’s something the whole family would enjoy! Oh cinnamon rolls for sure! I would love to try the Malted Milk Ball Cheesecake. Love the chocolate pudding, in fact I make it every other week.Plus I really enjoyed the Deconstructed Chocolate Waffle cones…..sooo good! I would make the Boston Creme cupcakes! They are a household favourite! I’d make your waffles from the Kid’s Cookbook! I’ve been dying to try the Malted Milkball Cheesecake! I’d make that with these Nu Naturals products. It makes me think of my childhood! I definitely want to try out your monkey bread recipe! Just I’m only 3 weeks into my Keto woe and am loving it! I would make a choc pudding for sure. Chocolate Lava Cake, Oh yes I would…. I have been wanting to try the Fudgy Brownies from the Q&E Keto Cookbook by Maria. YUM! I would make the cheesecake first! But really I would use these products everyday. 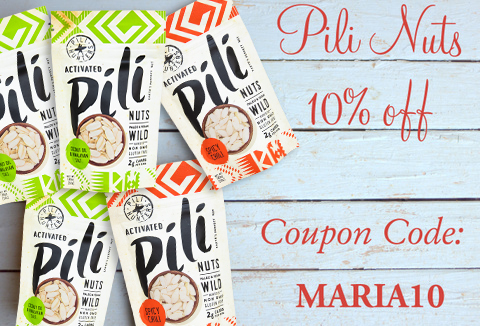 In my coconut yogurts, in my morning tea, and in all my baking! Oh yeah and of course to sweeten my lime juice for a margarita. So excited to give them all a try. 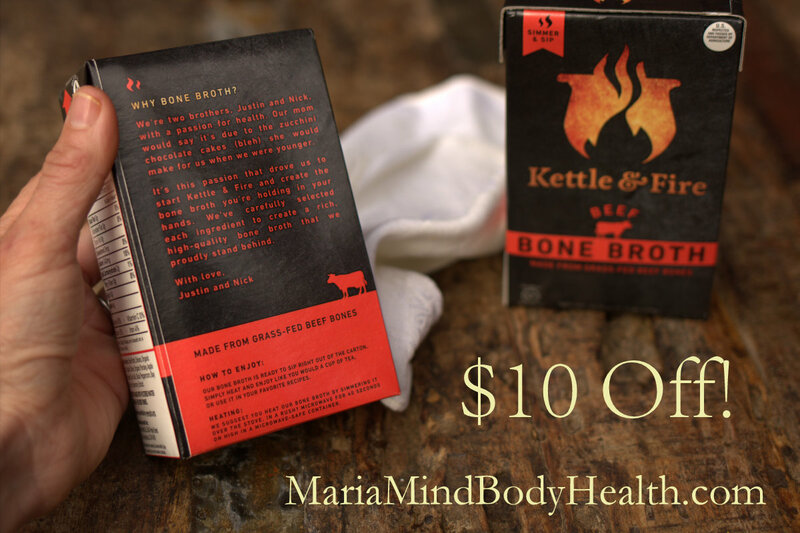 Thanks Maria for everything you do educating us on the keto way of eating and for sharing your recipes with me. Would love to make your peanut butter twinkies. WE were just looking at the recipe tonight! I would love to make over my pantry in one feel swoop! Ooo that is a super hard question! My girls enjoy just about every recipe of your’s we make. I feel they really make them feel like they aren’t missing out! Your pudding is fantastic, and your ice cream is a staple in our home!!! 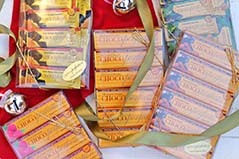 Probably our first thing made would be a big batch of your ice cream and butter finger bars!!! We love homemade sundaes!! Chocolate pudding would sure be a winner in my house! I’d try the Cheesecake and the chocolate pudding. I would love to make the cheesecake. The flavored syrups would make a great addition. Chocolate pudding for sure…then I would try another and another and another. Omg! The Chocolate Pudding looks delicious. Coconut porridge with ginger, I can taste it now! Love the Thin Mint Cereal , but have been wanting to try the chocolate pudding and lava cake…maybe I’d make all three! I would totally make the Keto cheesecake yummm! I really want to try the gummi bears and the different Popsicles you have! I would love to make your keto cheesecake with the vanilla ginger syrup! 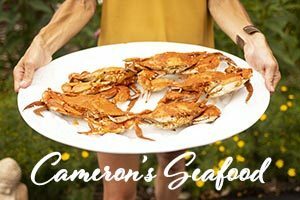 I love to cook and will have to try a few of these. I would use NuNatural gelatin to most definitely make your Strawberry Cheesecakes in jars!!! I would like to try anything as I am new to your products. I’m thinking I would make any kind of breakfast pastry! I’ve been wanting to try your brownies! The brownies for sure, plus all the others. I’d give as many a go as possible. I’m looking forward to making your chocolate pudding recipe from the Cleanse cookbook! 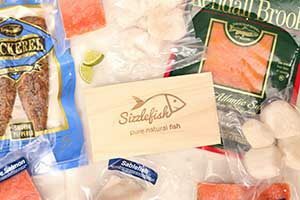 I would love to win this package! I am always looking for organic products. Thank you for all that you do! Is make cheesecake, all day, everyday! I would definitely LOVE To make the chocolate pudding and pastries! Thank you so much for all the helpful products that you share! Ooooohhhh, definitely flourless Duffy brownies with BUTTER when I’m off the 30 Day Ketogenic Cleanse. My daughter just made them with coconut oil and they were great! I love your blog!!! Thank you for all your information and hard work. I keep coming back to your ranch spices and ranch dressing recipe! 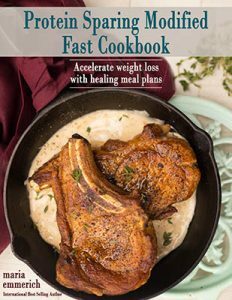 I saw a slow cooker pork loin recipe i cant wait to try. 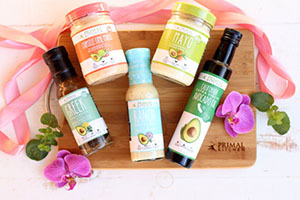 I have been dying to try nunaturals, but our budget doesnt allow it at this time, so i would just LOVE to have the chance! One of the cereals- thin mint probably- or the spanakopita are at the top of my list. Thanks for great giveaways! I would love to make the Dairy Free No Bake Cheesecake! Cheesecake is my hubby’s all time favorite dessert. But he shouldn’t have it due to diabetes. Thank you for this awesome recipe. Yum he’s so happy now he can have this one! 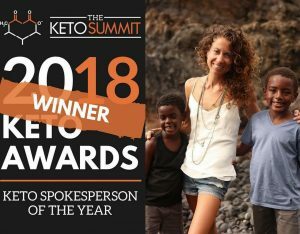 I would try the ginger syrup in the Keto ice cream!! I love chocolate so I would make the French Silk Mousse. Keto Danish. It was hard to choose. Chocolate waffels! I have a thing about ‘uni-tackers’ in my kitchen (we move waaaaay too much to deal with an overstocked kitchen), but we just found a silicone mold for Belgium waffles! Guess whats back on the menu! I love Nunaturals stevia. I use it in my. Offer every morning. No bitter aftertaste. 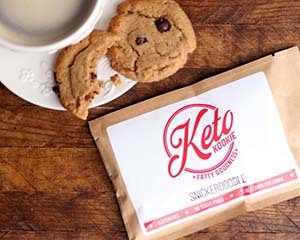 I would make keto egg-free chocolate chip cookies! Gelatin as the egg replacer! OH thank you for doing this give-away! I would make the keto danish. Your Lava Cake with French Silk ice cream, I think. I’m not sure what I would make, you have so many yummy 😋 recipes! Chocolate pudding for sure! I miss it! I could make a lot of things with these products! Since most of my recipes I use are yours,they would be your recipes 🙂 I just whipped up your push pop recipe and could have used them there! One of your yummy desserts – probably cheesecake first! Chocolate French Toast from the Ebook!! Yumm!! The chocolate pudding of course! I would love to make the Keto chocolate pudding. Being in Canada it’s a lot harder to source these products, have to order them online. I would love to win! I have been craving ice cream so I would make your Easy Ice Cream Sandwiches. Yum! 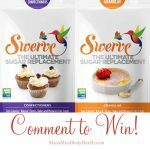 Oh, I love the stevia simple syrup, I use it in tea and deserts. I would make ice cream sandwiches, too. My husband loves them, and the NuNatural stuff makes them almost impossible to tell from the bad versions. Yummy shrimp. Deep-Fried Breaded Shrimp with Spicy Mayo, I love the spicy mayo. 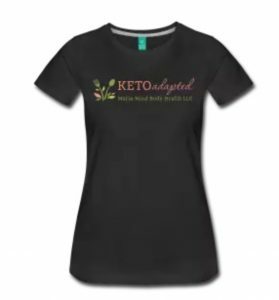 We’re just starting our ketogenic journey. After losing 45 pounds cutting sugar and processed foods from my diet I stalled a year ago. Friend after friend kept talking about their great results eating keto so I finally committed to trying it and am down 4 pounds in a week. As I am a chocolate junky I’m thinking that chocolate pudding you mentioned sounds amazing! Just ordered 2 of your books off Amazon so ready to get the party started. Thank you! Keto buns first for me, but there are several others I want to try too! I would make your pudding! I was going to say pudding, but then someone mentioned cheesecake… and, well, cheesecake for the win! Am new to kept so it ALL looks good to me! mmm…so many! I think the chocolate pudding first, then the cheesecake, then the vanilla bean bread pudding with vanilla bean creme anglaise! Yum, yum, yum!!! Breakfast Custard (what my room mate lovingly calls breakfast poo) and brownies. Then I would look through all your books to find other recipes to make. If I won, I would make cheesecake. Heck, even if I don’t win I’ll be making your cheesecake! The chocolate pudding and some of your cereals! I as well will be making your chocolate pudding. Those mint chocolate whoopee pies would be great to make. Choc pudding looks YUMMERS! Hoping to try NUNATURALS!!!! Just got your book- I’m excited to try the keato ice cream!! I bake, cook and love to experiment in the kitchen! Looking forward to trying these out! I’ve heard so much about the pudding! I’ve got to try that one. Keto lava cake, cheesecake and many more!! The chocolate pudding seems to be so popular on here, so I would definitely want to try that one! However, I love all your recipes, especially the waffles! Keto pudding as I am craving a good dessert right about now!! thank you for all your great advice and recipes. Just got your book at Costco! Nutella cupcakes!! Thanks for the giveaways. I’ve wanted to try your Thin Mint Ice Cream recipe and it looks like this amazing prize package would have just what I need! Chocolate Truffles would be my first of many items!!! Thanks! The Keto caramel sauce looks great! I have fallen in love with the chocolate pudding! Easy & delish! I am dying to try the death by chocolate cheesecake! Maria, thank you for the valuable resources you have provided to me. 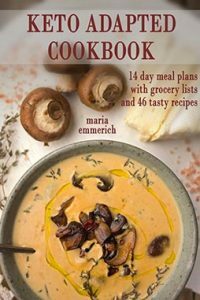 Your books have taught me so much, and your recipes make living keto so much more sustainable. Hmm, the vanilla bean bread putting and put a little of the ginger syrup in it. I love to make the Chocolate Truffles with some chocolate syrup in my coffee too. I would definitely make the keto cheesecake and chocolate pudding. Two of my all time favorite indulgences! French silk ice cream, strawberries and cream snowballs or “keto Debbie” chocolate cupcakes. I would make your caramel recipe and relace the allulose with the Nu Naturals No Carbs Blend. I reserve cheesecake for special occasions so I’d made the Keto Chocolate Cheesecake the the NuNaturals products. The pudding recipe looks delicious!!! I would make the chocolate pudding. I would have to make the chocolate pudding. Love your butterfingers , there are so many . I would def make the chocolate pudding first! I’d make the Chocolate Lava Cake! My husband’s favorite! I would make the vanilla bean bread pudding with vanilla bean creme anglaise. I love bread pudding and am so thrilled I don’t have to give it up!! Cheesecake, pudding, lava cakes! I want to try it all!!!!! I’ve been dying to make the molten lava cake and mocha ice cream from the 30 day cleanse! Butterfinger , so yummy!! TY!! Keto cheesecake of danish! Yum! I’m not sure which recipe, we’re new to this lifestyle with our T1D kiddo. 🙂 Maybe chocolate pudding or the chocolate lava cake. He’s really missing desserts. chocolate pudding made with 10 eggs … but if I could choose a non-desert recipe, it would be your break-your-fast chili with egg, bacon and avocado, my new fave! I’d have to make ice cream! It’s my fave!! Seriously, you want me to pick one? There are way toooooo many yummy things I could make with these items. I would put them all to good use! Your breakfast chili…I have been waiting so long to make it. and I would love to make the lemon loaf, one of my favorite flavors and something with ginger in it another favorite.. Thank you for the oppertunity and for all you do!!! I ordered your 30 day cleanse should be here tomorrow this would be a great add on. i am really looking forward to starting. i went low carb last year and did pretty well then i went back to eating carbs big mistake i have gained most of the weight back. Wish me luck. Not sure what I will make I just ordered your book yesterday from Amazon so I will not receive until tomorrow but from what I have seen on Facebook everyone loves you and your recipes. I would make the chocolate dairy free pudding! Lava cakes with mocha ice cream! The tiramisu cupcakes with marscapone frosting! My fav! I would also use the ginger syrup to make some homemade ginger ale for my morning sickness! definitely would make the vanilla bread pudding – I have just finished the cleanse and the chocolate pudding was excellent – I LOVE bread pudding – so this would be my new fav. I am sure!!! I would make the dairy free chocolate pudding! I would make the dairy free keto chocolate pudding too! If I won I would make the blue cheese recipe, I know I know I don’t need those ingredients and heck I am going to make the blue cheese anyway! BUT my wife would be so happy that she can have her sweets while I enjoy wings and blue cheese!!! What WOULDN’T I make would be easier to figure out! Ice Cream of all varieties is top of the list tho!!! I’d make your DF Kite Hill cream cheese cheesecake!! Cheesecake or pudding, how about both?!? I would make the chocolate pudding, but I love and use NuNaturals all the time. Did somebody say Keto Butterfingers? Mexican chicken sounds SOOO good. Chocolate Lava Cakes for sure! I would love to make the vanilla bean bread pudding or the cheesecake recipe! Would love to win this! Thank you! Anything chocolate- lava cake, zucchini cake, pudding. I would love to try making the chocolate waffles! I would like to try the pudding or cheesecake. the butterfingers sound yummy, too! I would make keto ice cream and many other treats from your cookbooks. 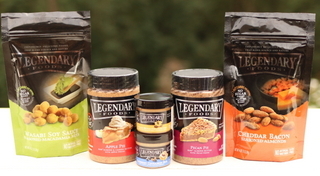 There’s so many recipes of yours I would love to make w/ these products. Since I’m still on the Cleanse I would make the chocolate pudding. Cheesecake!!! You make the prettiest cheesecakes. I’d love to show others that eating this way doesn’t end good food!! I would definitely use it for the chocolate pudding but I am DYING to make the lemon custard! NomNomNom! I made LC gluten-free cinnamon rolls that were excellent…would LOVE to try them again with your products! I also want to try my hand at a Rhubarb Custard Pie, as I haven’t had one since before my Mom died…but, of course, this one would need to be sugar-free. Lots of possibilities! I would love to try to make the chocolate waffles! I have a huge sweet tooth and I’ve been looking for compliant ingredients so I am able to splurge without feeling awful. Chocolate Pudding put in my ice cream machine. Good for cooling off on hot days..
I’d be making one of your waffle recipes if I won! This would be great. My husband and I are on week 2 of the 30 day cleanse. I feel great and he is a type 1 diabetic for over 50 years and we are cutting his insulin intake every day to adjust to our new lifestyle. Oh my goodness, the Chocolate Pudding and the waffles. No the Keto Danish sounds amazing! Its hard to decide they all look yummy! I’ve got to make the keto chocolate pudding, the cheesecake and the lemon loaf.